Scheduling meetings and being on time is never an easy task when you are a frequent traveler and that too when you travel around the world quite frequently there is a great chance that you might get lost in time zone changes. When you have an app like Gerta you don’t really need to worry about organizing these meetings irrespective of varied cities and time zones. 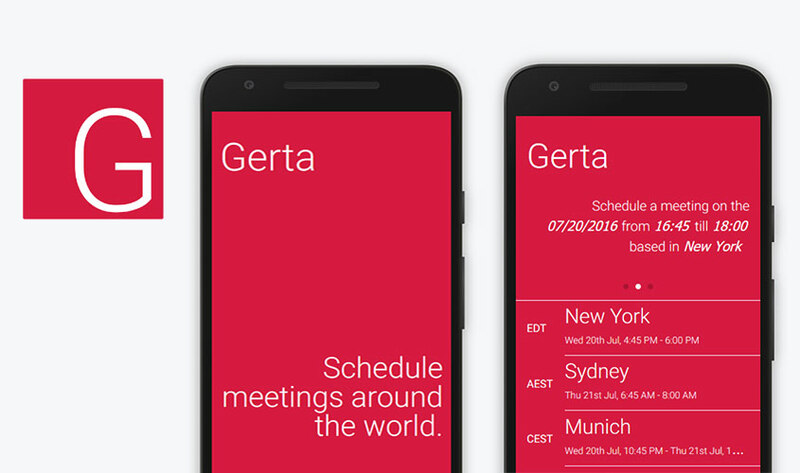 Gerta is a meeting scheduler app designed mainly for organizations which has branches around the world and also for the people who travel frequently to attend in-person meetings around the world. 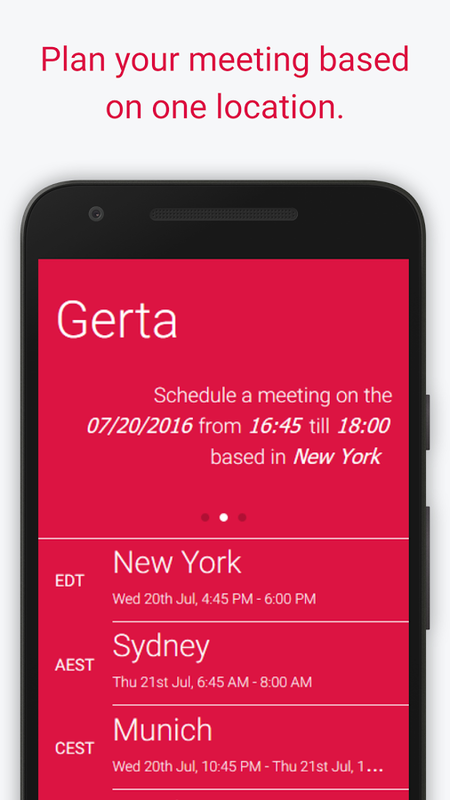 Gerta helps you to plan your meetings and schedule them in different timezones very quickly and easily. 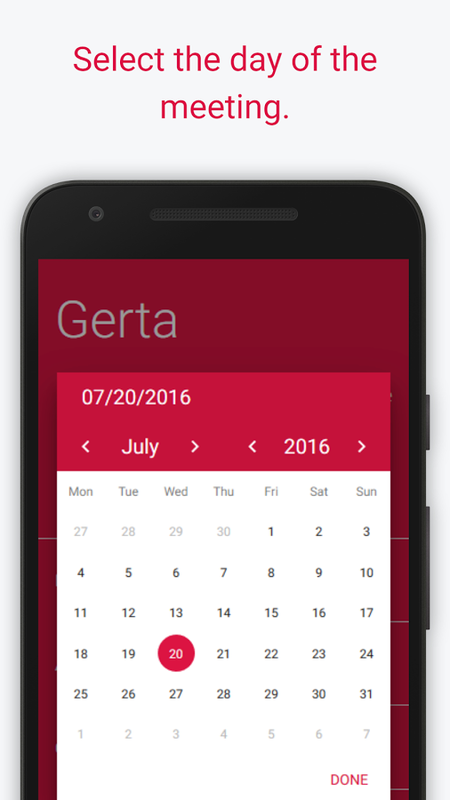 With its very simple and unique user interface Gerta helps you to organize your meetings effectively. When you plan your meetings based on the cities you will never need to worry about the time zone changes as Gerta manages them efficiently. Gerta allows users to manage a list of cities of your choice. You can add a city or delete a city in edit mode and plan your meetings based on cities in just few clicks and swipes. Select your location and schedule a meeting based on your base location, Gerta will automatically shows the appropriate timings in various time zones of the cities you have selected. It’s very easy to sort your meetings based on cities or schedule time, etc. It’s very easy to manage your meetings by editing the meetings or canceling/deleting the meetings in just few swipes. Gerta requires few permissions to function more effectively and to manage your meetings efficiently. 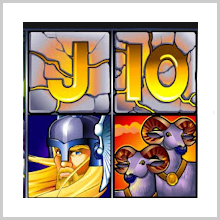 It requires permission to manage and access your calendar events and send email notifications without user’s knowledge. Also it requires access to any confidential information which you may have stored in the calendar app. Gerta requires full access to the network connections as it has to keep your calendar up-to-date with varied time zones. Gerta also requires permission to access to Photos, Media, Documents, Files and storage locations as it needs to read any content you may attach along with the meeting schedule and share it with wide range of audience using several other external applications like E-mail, WhatsApp, etc. 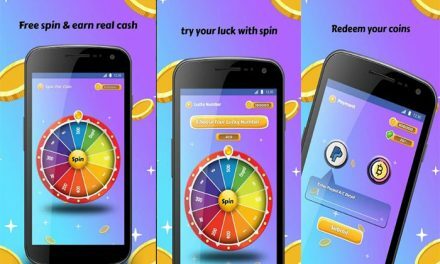 The user interface and look and feel of the Gerta app is very unique, which is a great plus.Gerta is a very light weight app which consumes only 1.4MB of your android devices. 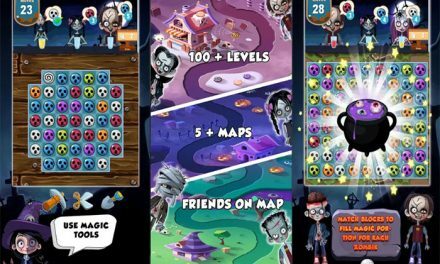 It supports almost any device which has Android 3.0 and above. 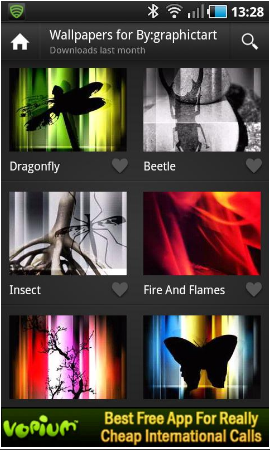 It is designed to work perfectly in smart phones and in tablets. It allows users to easily share the meeting information with several popular apps like email, WhatsApp, Outlook etc. Which makes the planning more easily.